Home » Kia Optima » How efficient is the new 2019 Kia Optima? 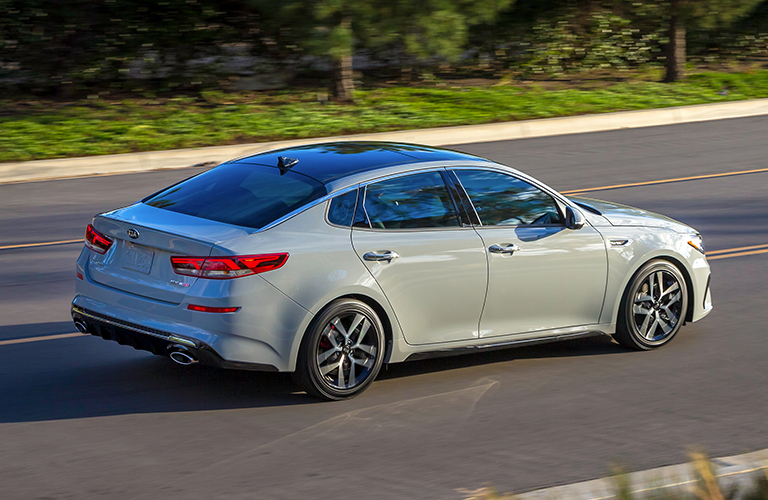 How efficient is the new 2019 Kia Optima? In many regards, the Kia Optima nameplate represents a legendary piece of South Korean manufacturing. The model has displayed an unwavering commitment to innovation, excitement and sleek design throughout its life, all wrapped up in a package that’s both efficient and economically friendly. We want to show you just how far the Kia line’s flagship sedan can take you today – join Palmen Kia in checking out the 2019 Kia Optima fuel economy and highway driving range! There’s no slacking to speak of when you consider the amount of smart power that the 2019 Optima is hiding under its hood. Base models of the line house a 2.4-liter DOHC Inline 4 engine, which can produce 185 horsepower at 6,000 RPM and 178 pound-feet of torque output at 4,000 RPM. This also equates to a fuel efficiency of 25 miles per gallon in the city, 35 miles per gallon on the highway, and 29 miles per gallon combined. What this means for you is that combined with an 18.5-gallon tank, the 2019 Optima can take you as far as 648 miles before you need to fill back up with fuel. That’s like driving from Kenosha to Memphis, Tennessee on one tank! 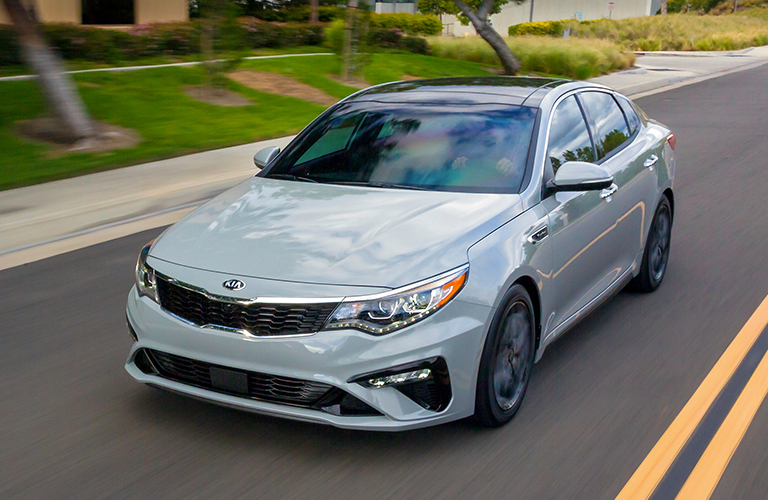 We know that today’s automotive market demands only the best innovation and versatility from our vehicles, which is why it’s so important that models like the 2019 Optima have been able to lead the Kia line’s continued resurgence into the public eye. We invite you to contact our Palmen Kia sales team today and schedule a test drive if you would like to see what else this sedan favorite has to offer! Check out the 2018 Kia Optima! This entry was posted on Tuesday, August 21st, 2018 at 8:46 pm	and is filed under Kia Optima. You can follow any responses to this entry through the RSS 2.0 feed. You can skip to the end and leave a response. Pinging is currently not allowed.